In terms of Alexa compatibility, the Amazon’s virtual assistant isn’t built into the Clavinova smart pianos. Instead, you’re able to trigger different commands by plugging something like an an Echo Dot to them. The only caveat is that you’ll need to route that through a MusicCast-powered hub, which is essentially Yamaha’s answer to Apple AirPlay and Google Cast. It’s not the most intuitive process, but it’s still fun to see in action — especially if it works quite smoothly, as was the case during our demo. For instance, you can tell Alexa (amazon developed AI) to play you a song on your piano, in case you want rather save a few minutes and not browse your music library. 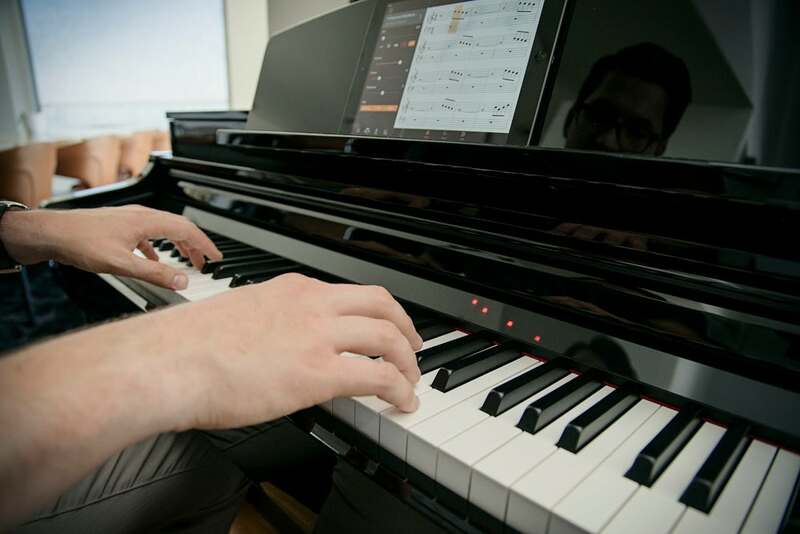 Here’s the other, and arguably main, caveat: Yamaha’s Clavinova CSP models start at $4,000, depending on your piano configuration And if you’re feeling adventurous, the company also has a Grand Piano that works with a similar iPad app and plays itself for $60,000. It just depends on how much you want to impress.